Includes morning refreshments, lunch, handouts, and CE credits & certificate. This training is divided into 2 segments, 5 days each. Registrants can join the first segment in-person with Dr. Swenson in Brooklyn. Alternatively, participants can choose to take part from “home” via webinar, watching the workshop on the computer, with opportunities to join in with comments and questions. We do not offer the webinar option for part II. d) Participant who has completed all assignments and who has shown consistent attendance receives a certificate of completion of the Ten-day Intensive Training. This 5-day training is designed for individuals who are members, or who are becoming members, of a DBT consultation team in which there are intensively trained individuals. Registrants can join for this training in-person with Dr. Swenson in Brooklyn. Alternatively, participants can choose to take part from “home” via webinar, watching the workshop on the computer, with opportunities to join in with comments and questions. b) Participant, while not coming to Part 2, presents the completed assignments to a designated member of the Consultation Team who has been intensively trained. d) Participant receives signed certificate of completion of Foundational DBT training. 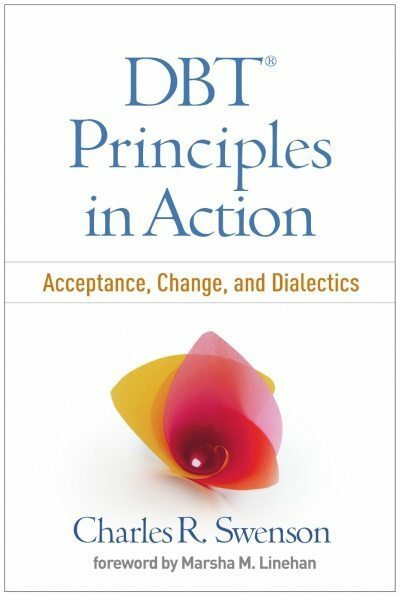 Note: Those who participate in the DBT 5-day Comprehensive Training and do not complete the aforementioned assignments can receive a certificate of attendance of a 5-day comprehensive DBT training, but not a certificate of completion of a Foundational Training. Those who choose to attend Part 1 remotely via live Webinar (Zoom) will need an internet connection as well as a webcam (if you would like to be seen). Remote participation allows you to watch live via 2-way camera and includes all handouts, CE credits & certificate, and full technical support (including facilitating live questions). Fee: As noted above, $2400 for full 10 day training; $1250 for 5-day foundational training. Location: Training will take place at Palace Café (2603 Nostrand Avenue, Brooklyn, NY). Registration is considered complete when full payment is received. Cancellation Policy: Prior to December 6th – payment will be refunded in full (minus $50 registration fee). Cancellation after December 6th will not be refunded. In this situation, we will attempt to find someone to take your slot (based on our waiting list). Dr. Swenson will direct and teach this rigorous, engaging ten-day training to cover DBT’s extensive knowledge base, to improve the DBT practice of every therapist and every team, and to offer part of what is necessary to prepare for certification as a DBT therapist. Continuing Education Credits: The $50 cost is waived for all paid registrants. Mental health professionals will receive CE credits awarded via CE Learning Systems. It is one CE credit per training hour, totaling approximately 7 CE credits per day. A continuing education certificate for the event will be obtained using the website, CE-Go. Within 3 days of the training , you will receive an email containing a link to CE-Go. (This link will be sent to the email account you used to register for the event). We have copied below some of the feedback shared by participants of our first two DBT trainings (2017 and 2018 ). Participating in this training was “educational, enjoyable, inspiring, fun yes I said fun! !” Dr Swenson taught me a better understanding how to recognize our personal limits as clinicians, and creating a much needed space for that. He embodies the meaning of compassion and is super creative when joining with clients. Dr. Swenson is an amazing presenter. He is kind, compassionate, interesting, engaging, has a wealth of experience and knowledge, and he has a real passion for the work that he does. Thank you SO MUCH for another awesome 5 days of DBT! After wrapping up yesterday, I felt so excited and “ready” to get back to work and start implementing some of the techniques and skills we practiced. I thoroughly enjoyed Part 1, but Part 2 this week has really been great. Through the role plays, presentations and review of the materials it felt like the concepts and the “essence” of the skills came together for me in ways it had not during Part 1. I’m leaving these last 5 days: 1. feeling more confident in my abilities (vs. feeling intimidated and maybe slightly terrified in July), 2. with a greater interest in further, more advanced DBT trainings, and 3. with an overall better understanding of the treatment and ways in which I revise what I’m doing to be more effective with my own patients. These are great feelings! Thank you so much for all your knowledge this week — you’re great at teaching this stuff. I found this to be interesting, engaging, worthwhile, applicable, all the things I had hoped. Thanks again for an awesome 10 days! Would love to return for a 2 or 3 day continuing intensive… I’d definitely be there if offered. The DBT workshop with Dr. Swenson was nothing short of suberb. Was informative, professional yet a warm and friendly environment for learning. After 18 years and dozens of workshop this was by far on the top of the list of excellent. Dr. Swenson is extremely knowledgeable, engaging and a master of DBT. The material really came alive through his presentation. 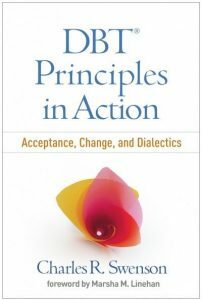 I have already been incorporating DBT in my work with my clients and seeing very positive results. I am looking forward to Part II! Swenson balances humility, empathy, passion, and a deep of DBT principles, which have proven to be a successful combination. His Intensive DBT workshop provided an opportunity for both novice and seasoned professionals to re-examine their own conceptualization of clinical information and to engage in the use of DBT skills and treatment strategies more consistently and effectively. Dr Swenson possess a unique ability to present complicated clinical information in an engaging and relevant manner through the inclusion of numerous clinical vignettes and examples and with his masterful teaching style. His background in psychoanalysis further lends a richness to the presentation and demonstrates the possibility of creativity with the conceptualization and treatment while maintaining strict adherence to the core DBT principles. 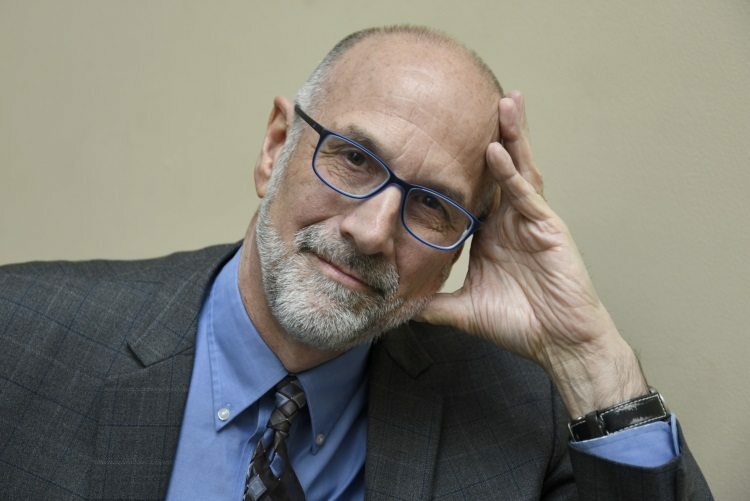 Aside from being an amazing presenter, Dr. Swenson is an excellent role model for teaching DBT by example as manifested by his ambience and warmth. A true overload of many blended interventions packaged together leaving the group eager for more. Dr. Swenson’ s smooth delivery of such complex intervention was a shining example of everything one can speculate for professional development par excellence. Definitely an iconic experience! This class was incredibly beneficial to my practice. I learned a gamut of skills that will help not only borderline clients but all. Not only that, it was FUN! Everyone was bonded by the end. Swenson is so funny, smart, and open, all qualities I hope to emulate with my clients and in life.